The GV62 7RC will have several variants powered by Intel's I7-7700HQ / i5-7300HQ / i3-711 CPUs and Nvidia's MX150 GPU. The i7-7700HQ variant with 4 GB RAM costs US$749. Gaming notebooks seem to sell very well these days, especially with the latest CPU price cuts from Intel, and the budget gaming sector is always the most profitable for OEMs like MSI. The latest GV62 7RC budget gaming notebook from MSI offers decent performance, being powered by Intel’s I7 CPUs and Nvidia’s MX150 GPU, but it also integrates exclusive features you will not see in other budget notebooks. The GV62 7RC will most likely come in several variants featuring Intel’s i7-7700HQ, i5-7300HQ or i3-7100 CPUs. However, all variants will be powered by Nvidia’s MX150 GPU that comes standard with 2 GB GDDR5 VRAM and is supposed to be 64% faster than its predecessor – the GTX 940MX. 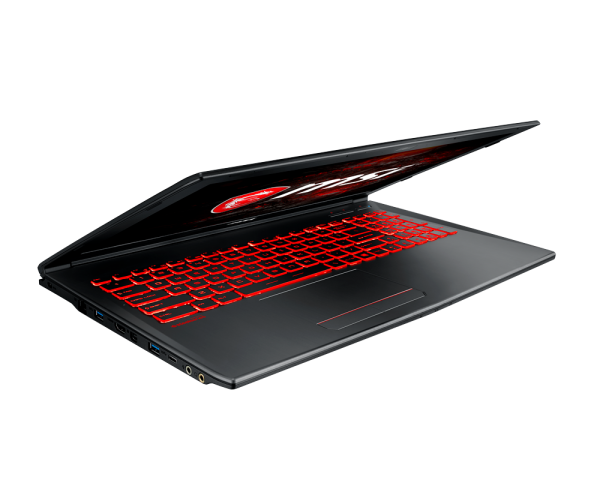 The budget models come with 4 GB DDR4-2400 of RAM, upgradeable to 32 GB. The notebook also integrates an NVMe PCI-e Gen3X4 SSD that is up to 5 times faster than a SATA3 SSD, a feature we do not usually get to see in budget models. The i7-7700HQ model with 4 GB RAM costs US$749, but availability information has not yet been disclosed.